The client, a 7 year old child, has cerebral palsy and is unable to walk, talk and has poor vision. 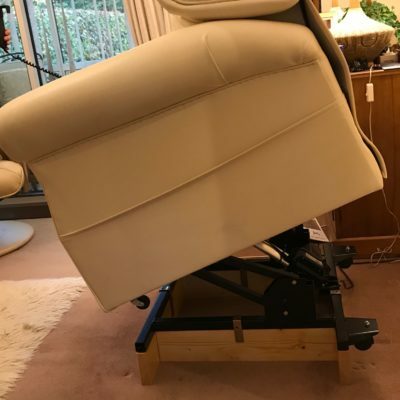 One of his carers wanted a special folding chair to fit into a small room, which would provide the correct body support. Modifying a standard baby bouncer type chair was tried without success. A special chair was designed and made from wood. A common problem when providing wheelchair access to a uPVC door is getting over the often quite high threshold. The usual solution of a sheet aluminium bridge has to be removed to allow the door to close which is hard for a lone wheelchair user. This light weight infill strip can be removed with a standard pick-up stick. 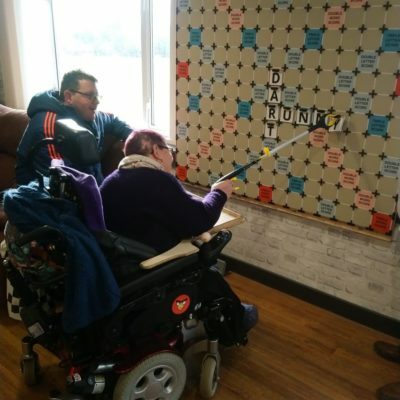 A day centre wanted a Giant Scrabble board that could be used by members of all abilities. 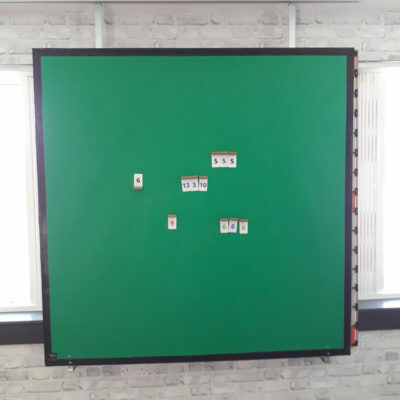 The board was 1.5m square and was constructed with a metal sandwich so that magnetic tiles would stick to it, this was mounted on a wall. Each tile was 85mm square, has raised, tactile, characters and with a handle that can be gripped using a grabber. The tiles and positioning corners were 3D printed. The client is unable to voluntarily open his jaw and needed a new safer method for his therapist to use. This elderly client required a spacer to fill a gap in her mattress. She had been supplied with a pressure-reducing mattress topper, which (strangely) was 6″ too long for a standard double-bed. 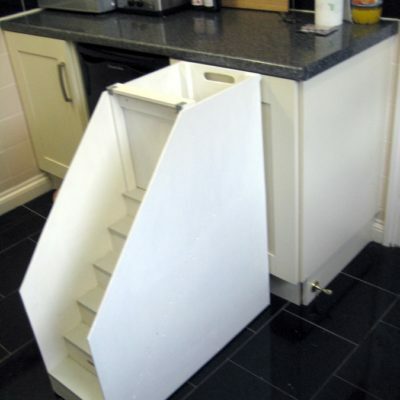 The client required a light weight tray for her wheelchair for use when out and about.